Looking for Bankruptcy Attorney West Palm Beach - Get a Fresh Start! If you are dealing with a financial crisis and you are considering filing for bankruptcy, you need an experienced bankruptcy attorney West Palm Beach to help you answer the difficult questions. Those of you that are new to hiring a bankruptcy lawyer may find the legal process quite daunting. Don’t let this stop you from achieving a better financial future. At The MacSim Firm, you will receive personal, direct service from a licensed Florida bankruptcy attorney West Palm Beach. Our attorney will personally help you through the complicated bankruptcy process. 1. Schedule a FREE initial attorney consultation – During your free initial consultation, a Bankruptcy Lawyer will meet with you to discuss and analyze your debts troubles. The Attorney will provide immediate feedback and a preliminary estimate of how much you can expect to pay, including all required court costs. For many Americans overwhelmed by debt, Chapter 7 bankruptcy can be a powerful tool for getting you back on track. Chapter 7 is a highly preferred bankruptcy provision. Nearly 65% of all U.S. consumer bankruptcy filings are Chapter 7 cases. With this type of bankruptcy, an individual petitions the court to discharge most of their remaining debts. The debtor has the right to keep certain property that is essentially off-limits “exempt” to their creditors. In exchange for Chapter 7 bankruptcy protection and subsequent discharge, the bankruptcy trustee can take any property you own that is not exempt from collection, sell it, and redistribute the proceeds to your creditors. Chapter 7 is not available to everyone, and it is important to understand what specific requirements make an individual eligible to file. Under recent revisions to U.S. Bankruptcy Law, debtors are required to pass a financial means test in order to be eligible for Chapter 7 bankruptcy and who will alternately be forced to file Chapter 13 bankruptcy. » Are behind on payments on secured property that they want to keep. » Have tax debts that cannot be discharged in a Ch 7 bankruptcy case. » Have debts that are NOT too high. » Have non-exempt property that they want to keep. » Have filed for Chapter 7 bankruptcy within the previous eight years, and thus are not eligible to file Ch 7. » Want to protect co-signers on certain debts. » Have past-due student loan debt. 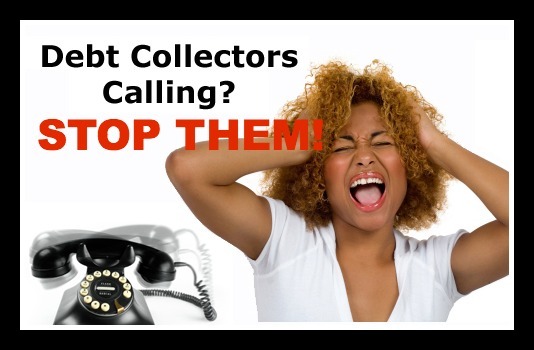 If you are looking for Credit Card Collections Defense Representation?